Don’t Do This with a Burned Out Nurse. Nurse burnout. A tricky subject. Why? Sometimes the very nurse experiencing the burnout does not know that they are! Historically, burnout has not been discussed in nursing schools or during nursing orientation. I imagine that we do not want to scare new nurses right off the bat. However, it is important to bring nurse burnout up often and early. This way nurses can know what to do and how to avoid burning out. 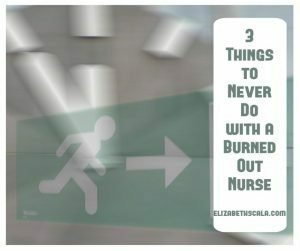 There are several things that you do not want to do with a burned out nurse. We are going to go through each of them below. Feel free to share this information with your nursing colleagues, nursing students, and nurse friends you may have. Push them harder. While this may come as no surprise, there is actually science behind this. During my Nurse Burnout Proof live training, I ask the audience: “Is stress good?” Some nurses nod “yes” while others shake their heads “no”. I respond: “It depends.” And here’s why… Take a look at the following curve. 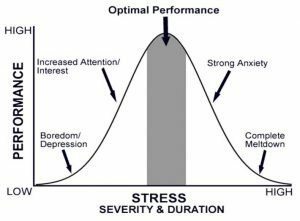 You will notice that as stress becomes more intense, performance goes up. To a certain extent. Then, as stress continues to rise for an extended length of time… performance levels plummet. You never want to push a burned out nurse harder. You may push them to their breaking point! Tell them that they simply need a break. 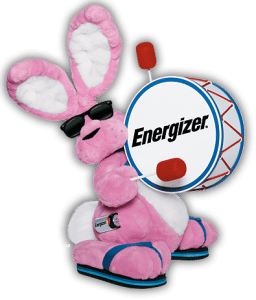 Let’s talk Energizer Bunny here. The Energizer Bunny marches step by step, beating on his drum. Now- let me ask you. 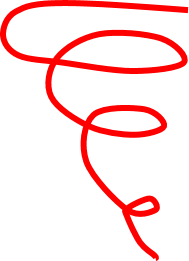 When the Energizer Bunny’s batteries run out, what happens? That is right… he stops! Think about your nursing career. When did you ever stop? Did you stop during nursing school? During orientation? During your days off? I hear from nurses across the country how they think about work- when they are not even at work! And a vacation, sabbatical, or break… that is only a temporary fix. It is like placing a bandage over a hemorrhaging artery. A temporary fix that won’t last very long. If a nurse is experiencing burnout, they need more than a break. They need strategies to fill up their depleted energy streams. Strategies at the physical, mental, emotional, and spiritual level. Strategies that involve more than a short break. Think that they know they are burned out. Remember at the start of this post where I described the fact that nurses may actually not realize that they are in burnout. This is because burnout is like a downward spiral. It is as though you are in quick sand and there is nothing that can pull you out! If we do not know the symptoms; if we are unaware of the fact that burnout is a dilemma; or if we think that we “just need a break” we are likely to experience nurse burnout. Burnout is real. It affects nurses -and nursing students- across the country. Around the world, even! Know yourself. Are you experiencing stress or is it something more? Know your team. What do they look like when they are stressed? Can you push them harder or is it a day that you need to back off? If you need help, resources, and/or strategies feel free to contact me. I can speak from experience- I did NOT know that I was in burnout when I was going through it. I only realized it after the fact… when it was too late! I experienced nurse burn out last May. For 10 years straight I worked above and beyond 48 hour weeks as a travel nurse. I worked in very stressful hospitals as FT or travel nurse. I also was taking care of my father whom was dx with cancer. After his passing I had gastric sleeve sx and within several months I was in total decline. I was making medication errors that I would not even have recalled performing. I became rude and untolerable to my patients. I realized that I had to get away for awhile. I took a month off and after that changed from Cardiac to Peds nurse. I went to home health and away from the hospital soap opera. I hope to one day return to the floor as Peds nurse. Wow, Sharon. Thank you so much for sharing your journey here with us. I think that in you speaking up about how hard you pushed yourself and what the outcome ultimately was… this will help other nurses realize that burnout is real. That it is something that will happen if we do not create work life balance. I thank you for your comments and am glad that you enjoyed this post. Keep on following your wants/needs/desires and being the best nurse that you can be in the environments that you work in! I think this described my inner realm dealing with burnout. I kept trying to push myself through that quicksand and telling myself I must be lazy or something for feeling like I did. Hi Kara, Thank you for your honesty. I hope that by you sharing this here, other nurses reading realize it is OK to feel this way. Much appreciated! Feel free to share this post. I am glad that you enjoyed it. Have a great day! There have been a few times in my life where I have experienced overall burnout. It’s during those times that I needed to stop, take time off from everything and reflect over my life. During the reflection time I looked at my schedule and commitments and how I could stop doing things that didn’t make my heart sing. Then I decided on how to exit from those things. For example I was a part of a committee that was taking up more time in my life than I wanted and was not bringing me joy. I spoke to the head of the committee and told them I had to resign from my duties on the committee. In some cases this happened immediately in others it might have been in 3 to 6 months. During my pause and reflection time I also took time for self- nourishing activities such as a massage or time out with friends. Other times it was a sleep vacation where I spent 1-2 days sleeping. To prevent burnout I do reflection times quarterly ,self-nourishing times daily and the sleep vacations once a week. I look at it as battery recharging time. Thanks, Cassandra. And it is common for nurses to experience burnout more than once in a lifetime! The job is HARD work. Great tips for taking this self-reflection time and re-evaluating your priorities. Thank you!! Thank you so much, Nicole. I appreciate your feedback and am glad that you enjoyed the article! 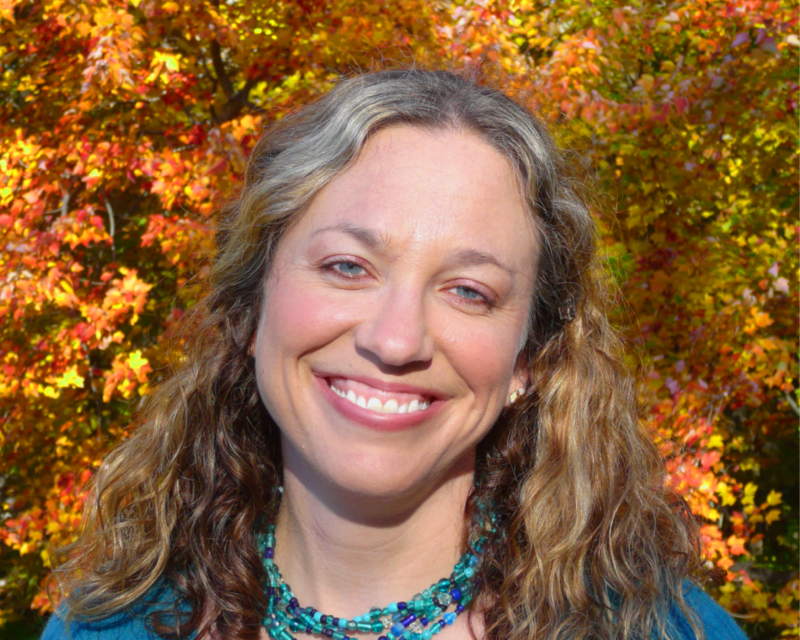 I experienced burnout at the end of my career,when I was working Hospice. A close family member died suddenly, plus a parent died two years before after a long siege. I did not realize I was in burnout—but I knew I could not take care of any more dying people or I would be next. Also , I did not receive any understanding or encouragement for this type of work in which you work alone, and not in teams as in hospital nursing. I had to quit for my own wellbeing—and I was saddened by this as it was the best hours and money of my career. I am grateful for the experience, but I would never sacrifice my mental health in this way. I am happily retired after 46 years in the field. Something must be done to address this early and often. Thank you for sharing your experiences with myself and the readers, Judith. This is helpful to hear so that others know what to look for and can be proactive about doing something early. Appreciate you leaving the comment here on this blog. I hope that you are enjoying your retirement! Have a great day. Cheryl, I think you are right. It is every career. Every profession. Everywhere these days. We have a mentality of “work harder, faster, more”. And we are given less time and resources. This is why we need dual strategies. Personal strategies to build our own resilience so that we can cope with the stressors. And organizational strategies to make the culture of the workplace employee friendly. Thanks for coming by and sharing your thoughts! I went through burnout in 1977 after working in ICU as a graduate nurse and having to take charge of a 7 bed ICU Unit at that time. The daily grid of having to make life and death decisions with families and physicians became very hard experience to endure on a daily basis. I was not prepared for this in my training. I would go home after my 3-11 shift and often run around the yard drinking wine to calm down after a shift or wake up in the middle of the night seeing respirators in my bedroom. I am glad you have done research on burnout. It has effected my nursing career ever since 1977; even though I changed specialties. Wow, Sharon. Thank you for sharing your honest experiences with us. I know that many people have to find ways to cope with the stress they experience at work. Myself included. It is a first step here. Having conversations like this, I hope that we help other nurses and nursing students know that they are not alone. That burnout is real. And that there are things we can do to prevent or stop it. Thanks very much for your comments. I recently had a colleague thank me for teaching her about the importance of self care by taking my lunch break! There is so much more to teach and learn. 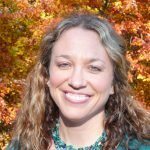 Thank you, Elizabeth, for addressing nurse burnout. Historically, I addressed it by changing jobs but until I addressed core issues, It would repeat in the next job. Now I engage in self care ( it’s more than taking my lunch break ☺️). Great hearing from you. I always say that the best thing we can do to teach self-care is to role model it for others. And also appreciate you sharing the comments about leaving a job and finding stress there too. You’re absolutely right about needing to address core issues first. Thank you for sharing your thoughts here! I remember as a student nurse being ready to quit, but I pushed through and 2 wks later was over it. Twice. Always thought that worked after graduating…but perhaps the falls and back and knee injuries were results of ignored burnout. Never really took vacations till the TKR, but pay much more attention now. At this 51.5 yes now. Hi Jane, Thanks for stopping by, reading the post, and sharing your comment. I appreciate your honesty. Thanks for putting this comment on the blog. Hopefully it will encourage newer nurses to pay attention to the warning signs of burnout and avoid injury. Thanks so much! I’ve only been a nurse for 6 years. But am very driven. I completely burnt myself out. I’m on leave from a full time nursing faculty role at a university and won’t likely return as I’m in adrenal fatigue due to stress. I didn’t see it coming and am taking a long break for self care. I love teaching and have been a surgical and hospice nurse. But it’s time for a season of me. Sounds selfish, but I need the time. I do not think that taking the time is selfish at all. In fact, it is quite necessary. We need to take care of ourselves so that we are 100% ready and healthy to take care of patients. Thank you for sharing your honesty and experiences with us. Take good care of you! You can be driven, work hard, and take care of yourself all at once. It just requires strategies and a bit of a balancing act. I love nursing. I do. But find myself burned out. Pretty close to melt down level last week. Got 3 weeks off through my PCP. Am an LPN, long term care. Can I do less at work? I can’t give crappy care, so no, not really. Not usually able to leave floor and know my residents are safe, my CNAs are busy. So, unless something changes on the floor, what to do? I go home, have a drink, sleep, and try to recuperate for the next shift. That’s pretty much my life. Try to meditate, do something creative, visit with family, make myself go to yoga or exercise (when I’m not too exhausted). I need some viable suggestions. I eat well, drink lots of water, don’t smoke, take vitamins…..HELP! Thank you for your comments and honest share here. I am sure that you are not alone. Nursing is tough work. Physically demanding, emotionally exhausting- it can drain every ounce of our mind, body, and spirit. It is great to hear that you are drinking water, eating well, and resting when you can. Those are the physical things that will fill that part of you up. However, burnout is multifaceted in that it affects more than our physical body. In fact, there are three overarching components of burnout which are: exhaustion, depersonalization, and a diminished sense of accomplishment. These other two need other ways of replenishing. I wonder, have you checked out my book “Stop Nurse Burnout”? 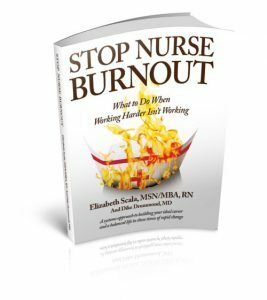 https://elizabethscala.com/stop-nurse-burnout/ It would be very difficult, in the space here on this blog response, to go through all of the things that you might find helpful. However, a variety of strategies ARE in that book. I wonder if you might give that a look.